The AAP, the American Academy of Pediatrics, has come out with an extention and more stringent guidelines for parents for the first year of life. But are they really new? What prompted the changes? Busy parents and caregivers need to know, but often don’t get past the scary headlines. It’s important to go a bit deeper and see why the changes were recommended, in order to make the best choices for each family’s situation. Actually, the only new guideline is that the rules should be followed for the first year, rather than the first six months. And, doctors are recommending that babies sleep in the same room as their parents for the first year. According to a recent NPR article, The updated recommendation, then, is that mothers feed their baby in bed and then place the baby on its own sleep surface afterward. If the mother falls asleep by accident, it’s not as hazardous as it would be on a couch. When she wakes again, she should immediately place the baby back in its own bed, since the risk of death increases with the duration of bed sharing. So, if you’re co-sleeping, follow the recommendations. If you’ve been getting up one to two times a night for 6 months or longer, parents are in survival mode, and not typically not making good choices. However, If your baby is sleeping through the night, or if you can safely get up during the night and put the baby in his own crib after nursing, there is not a reason not to put him in his own room. But, if you’re sleep deprived and not making good choices, PLEASE follow the recommendations. BETH PASSES THE CARING NANNIES’ TORCH TO JENNY RIOJAS! When Jenny Riojas walked into the Caring Nannies’ office in the spring of 2011, our staff agreed unanimously that Jenny was the “It” girl we needed in our office! But Jenny had come in for a part-time nanny position, three long days per week, and at that time, she wasn’t wanting to work full-time. We definitely needed someone five days per week. 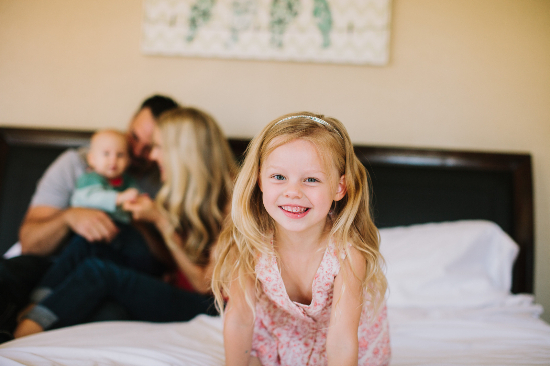 She had every quality we could ever want: 10+ years of nanny experience, 3 years of office experience, prior experience as a Placement Consultant at ABC Nannies in Denver, Colorado. She was professional, with a Bachelor’s Degree in Elementary Education, well-spoken, warm, animated, and experienced both as a nanny and a Mom, with two boys, ages 6 and 4. It took some convincing to get Jenny to agree to work in our office! Happily for us, the family we sent her to did not interview her fast enough–that does sometimes happen– and we worked out a compromise: she could work at home two days per week to be Mom to her boys, and in the office three days per week. She started out as the Nanny Recruiter and loved finding and vetting exceptional nannies. However, I soon realized that I needed to give her the bigger role of Family Placement Counselor, so I could take care of the myriad of tasks that go along with running a business. Again, it took me awhile to convince Jenny. She enjoyed her role as Nanny Recruiter, working personally with the nannies, and she was great at it. However, she was willing to take on the next challenge. Once she began working directly with the clients, she developed an immediate rapport with them which is so essential in this business. She had so many detailed questions for the families about exactly what they wanted; was so attentive to detail in the matching process; and was so relatable to the nannies — that she was an instant success. In the five years since the day she walked in, Jenny has taken Caring Nannies to new heights: by expanding our Temporary Services to include Event Care, and Corporate Back-up Care; by initiating a new software program that saves our staff valuable hours; by being an integral part of our education / training programs; and by continual growth of the domestic staffing side of the business. Her husband Jason has now taken over the accounting and bookkeeping as well. At the end of 2015, Jenny purchased Caring Nannies from me after 32 years. I thought that after all that time, I would feel like it was one of my kids and miss it terribly. However, I am so busy with my second career, that I hardly have time to even think about it. I have five grandchildren that are five and under, with two more in the works. I enjoy teaching English to new refugees, going to hot yoga in the middle of the day, going on 20+ mile bike rides with friends, gardening, coordinating a class, studying, and a myriad of fun activities that don’t require me to sit at a desk all day! I think I am busier than before I retired! I am grateful to Jenny for all the years of service she’s given our families and nannies and our corporate clients, and I’m excited to see where she takes Caring Nannies! 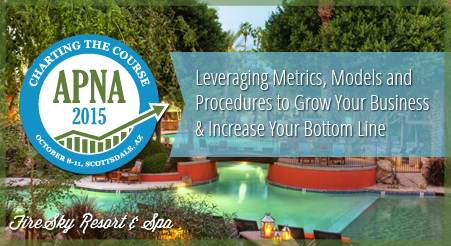 2015 APNA CONVENTION THIS WEEK IN SCOTTSDALE! Our Caring Nannies staff is excited about the 2015 APNA annual conference starting this week in Scottsdale at the FireSky Resort and Spa. We have motivating and insightful speakers. We’re looking forward to meeting first-timers as well as old friends, and even more we’re excited about learning how to hone our skill-sets so we can improve our nanny and domestic staffing service and better serve our families. APNA is a highly principled organization made up of hard-working, smart and creative industry leaders and we are proud to be a part of it. Caring Nannies is happy to be a sponsor this year. 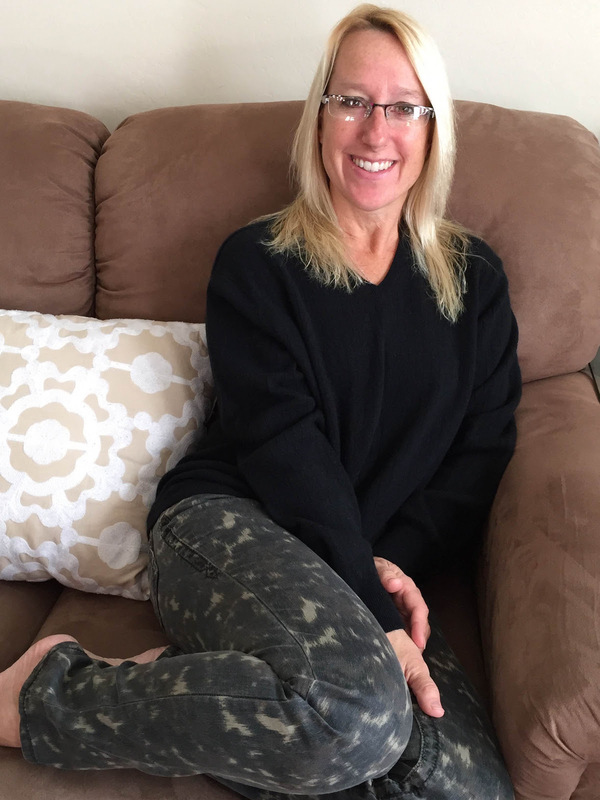 Rosalind Prather is a Trusting Connections Co-Founder, a nanny placement agency and sitter service based in Tucson, Arizona. She helped grow Trusting Connections from a small 2-woman operation to a growing full-service agency of over 60 employees and oversaw the agency’s expansion into the Southlake, Texas market. She currently serves as the Marketing and Client Relations Director and travels between Texas and Arizona to head the marketing and sales efforts of both locations. Rosalind is above all, the proud mother of two girls and has a deep understanding of the joys and struggles of family life and parenting. As a successful “momtrepreneur,” Rosalind is very passionate about sharing her insights with aspiring woman business owners to inspire them to believe that being a mom and a business owner is a beautiful possibility. The Association of Premier Nanny Agencies, established in 1993, promotes best business practices in all areas of the nanny placement and household staffing industries. We were incredibly disappointed to hear the story of the nanny in Georgia that is alleged to have committed identity theft. It was no surprise to find out that the family in this case did not use an agency approved by the Association of Premier Nanny Agencies. No matter how you do it, hiring a nanny can be tricky and often very complicated. But hiring on your own (without an agency that can provide deep industry knowledge) dramatically increases the odds of a negative outcome. It’s like going to Las Vegas and playing the roulette wheel: it is 100% predictable that the outcome is unpredictable. We all know that life is fraught with risk. There is always a degree of risk in any hiring effort. But, the vast majority of nanny candidates are safe and honest. And, finding a great nanny for your children is like winning the lottery. Everybody wins if we do this right. The key questions here are twofold. One, how much risk tolerance should I have in hiring a nanny? Second, how best to minimize and manage the risk? The answer to the first question is obvious to most. You should have less tolerance for risk when it comes to your children’s welfare. So, how do you minimize/manage the risk in the hiring process? There are many fantastic Agencies out there that specialize in this very thing. 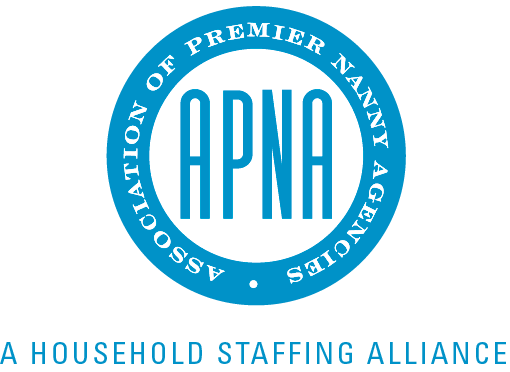 The Association of Premier Nanny Agencies advocates working with a professional agency that carries the APNA stamp of approval. These agencies specialize in reading between the lines and expertly identifying those caregivers who are safe and those who are not. The most secure route is to let the Agency direct your hiring process from top to bottom and facilitate the most intense series of background checks available. One critical factor that sets agencies apart from online listing sites is that APNA agencies meet their candidates in person. Placement fees for this type of service are not small. But try to make it happen, understanding that you are investing in a fantastic caregiver for the most important people in your life. The dividends will be huge. To lead the life you want, can you afford not to do it this way? But if you can’t do this, you can usually still work with your Agency of choice to vet a caregiver after you have done a search on your own. Bottom line: Have an APNA approved agency involved in this process. You won’t regret it. The INA has just released the results of their 2014 Nanny Salary and Benefits Survey. Are you paying your nanny enough?. Am I paying my nanny appropriately? To answer this question, the International Nanny Association has released the results of their 2014 Nanny Salary and Benefits survey, done in conjunction with Survey Design & Analysis, a professional research firm. The purpose of this annual survey is to collect data on the state of the nanny industry, to see if the profession is keeping up with the economic gains in the US. A new twist is that for the first time, the survey included international data, especially from Australia. Australian salaries are a bit higher than the US. One online source, quoted $15-$25 per hour or an average of $20 for an Australian nanny. Some of the new questions this year were designed to determine how additional training and experience affects salaries. Comparisons were made back to the 2012 INA Nanny Salary and Benefits survey to highlight trends. Only 8% of responders were live-in nannies, a trend we have definitely seen in Arizona, where live-in nanny placements have become increasingly rare. Also not surprisingly, 85% of respondents have some college education, and three fourths work full-time. The percent of full-time nannies is up 7% since 2012. Happily, 67% have a written work agreement in place, but this number goes up to 80% if they were placed by a ‘brick and mortar’ agency like Caring Nannies. Caring Nannies sees a written working agreement essential for long term satisfaction and longevity in the nanny/family relationship. However, only half of the respondents reported that what they’re actually doing on a daily basis matches their written list of duties. Reporters included 38% who described themselves as nanny/house managers. 72% have more than 5 years of experience in the profession. Salary increases are up – 49% got increases in the past 12 months, compared to only 38% in a more cautious 2012. 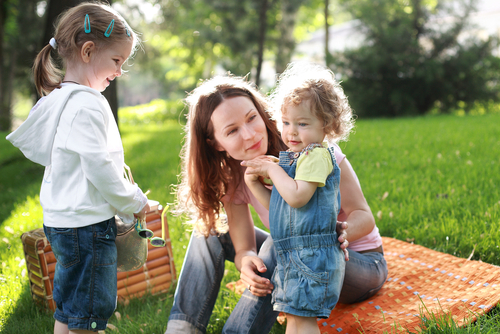 The more experienced and educated nannies tend to get the higher salaries. No surprise there. Annual bonuses hit 60%, up from 53% in 2011. Families paying their nannies legally topped out at 64%. 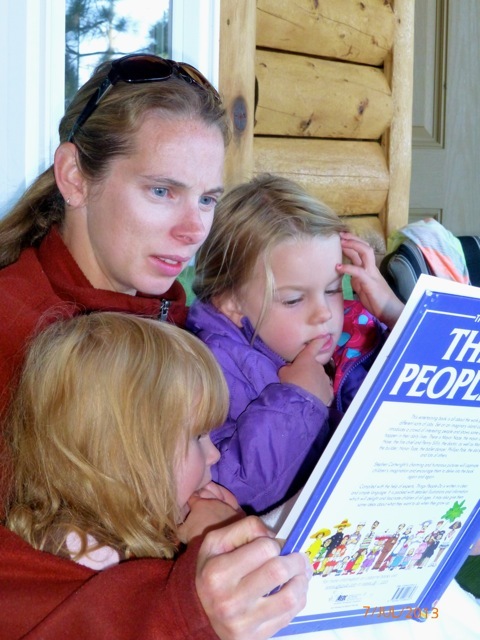 In 2012, 66% of nannies received paid holidays, now down to 57%, and 62% get a paid vacation. “Guaranteed pay”, when the family is paying the nanny while on an extended trip, or when Grandma comes to town, is at 71%. Health Insurance is still an unusual benefit for the nanny profession, staying at 10% for full health insurance and 12% for partial. This is an area for employers to consider, as it gives the family and the nanny healthy tax breaks ,initiated in 2012 for employer provided health insurance. Where are nannies finding their jobs? 39% got their current job through brick and mortar nanny referral agencies, and 34% online, a 10% increase from 2012. The INA tells us that “Survey Design and Analysis’ concluded that improved economic conditions are evident in the nanny industry; with higher hourly rate, more bonuses, more full time work.” So, most families are paying their nanny appropriately, according to the survey. They see technology changing the industry via greater use of online classes, online job postings, and more families paying their nanny via payroll services. Education level and experience of nannies and most aspects of the nanny job have stayed constant since 2011. See the complete survey at 2014_INA_Salary and Benefits Survey. 2015 Standard mileage rates are up! Nannies and families, take note: The IRS has announced that the business reimbursement for business travel has gone up! Gas has been going down radically, and Costco’s posted rate today is $1.65. We’re all saving money every time we fill up. However, the IRS has announced that for business mileage, their rate has actually gone up slightly. Last year the rate was 56.5 and the new rate for 2015 is 57.5. So you may be wondering why families will be paying more for errands their household staff run. Medical mileage as well as driving for volunteer work has stayed lower. The way the IRS sets the standard mileage rates is based on an annual study of the fixed and variable costs of using a car, including depreciation, insurance, repairs, tires, maintenance, gas and oil. The rate for medical and moving purposes is based on the variable costs, such as gas and oil. The charitable rate is set by law. Why is the business rate up and the moving and medical rate down? The business rate adjustment takes into account all the costs associated with owning a car, including insurance and repairs, while the other adjustment primarily takes into effect oil and gas costs. There is another option. The standard rates are the simple option for taxpayers to use. The other option is to claim deductions based on the actual costs of using a vehicle. In either case, you need to keep records to prove how far you drove and when and for what purpose. Be sure to use these new rates to reimburse your nanny or household manager starting this month! What are the pros and cons of using an online nanny site vs a nanny agency? Your greatest concerns in life revolve around your children and home. When you need some extra help at home, a nanny or babysitter, how should you go about finding the perfect one, the one just right for your family? Should you go with a ‘do-it-yourself’ online site? Or hire a service to do the sleuthing for you. What are the pros and cons of using an online nanny agency versus a full service agency? We checked with some experts in the industry and have some pros and cons to help you decide which way is best for your family. Complete control. An online company gives parents complete control over the process. Some parents feel that they know their needs and their family better than anyone, and want to do it all themselves. Price. An online service is much less expensive initially than an agency. Some online companies charge only $45 per month and a Phoenix nanny agency can be anywhere from $800 to $3,500. Candidates. There are lots of candidates to choose from. There are outstanding, experienced candidates mixed in with others. Experience levels vary greatly. For example, Care.com requires candidates to have worked in three different homes at least one time each. Most ‘brick and mortar’ agencies require a minimum of one to two years experience outside friends and family. Convenience. Since it’s all online, a parent can do a lot of the work after hours. Time. Initially it may seem easy and some families find a great choice quickly and move forward, but others find it confusing because there are so many nanny candidates and it takes a lot of time to review resumes, interview candidates, call references, get quality background checks, get copies of Driver’s Licenses, proof of auto insurance, First Aid, CPR certifications and validate the knowledge base of each candidate. Streamlined Hiring Process: An agency has the ability to determine your needs and send candidates for interviewing within a day or two. Judi Merlin of A Friend of the Family Staffing Corporation in Athens, Georgia, tells us that her vetting process for nannies takes 15-20 hours. “We have found that only 1 in 10 applicants successfully complete our process,” she adds. Back-up help and support. If a family uses an agency, they can call for a last minute substitute sitter in case of an emergency. If a placement doesn’t work out, most agencies guarantee the placement for three months. If you have any questions about the process of finding just the right nanny or babysitter for your family, we’re glad to help. You can give us a call at 480-946-3423 or fill out a Family Application to start your personalized search today. Price. It is definitely more expensive to hire a nanny or babysitter though an on-line service, but time and having a stress-free experience are more valuable to many families than the money they would save. Loss of control. Some parents prefer to be in charge of the whole process themselves. Failure Rate. One out of three online hires results in a failed placement, according to a study by Breedlove, a nanny tax service. There is also the consideration of a failed placement and children who have grown to like a nanny or babysitter only to have them leave. There is also the fear factor of meeting a person in your home who may not be who they seem. Each family’s budget, time constraints and priorities are what will determine the best way to go about hiring a nanny or babysitter. The bottom line for every family is the safety and well-being of their children. Carol is a warm, vibrant and highly dedicated nanny with over six years of nanny experience with three families! She started babysitting at age 10. With a medical degree, she was working at a very busy medical clinic as well as setting up specialty clinics in Minnesota until her family relocated to Phoenix. “It was very stressful and when we moved to Arizona, I just wanted to get out of the healthcare field and be able to play and just have fun, caring for children. No stress, no drama. I just love nannying-it’s just the best,” she confided. In the Fall of 2012, we placed Carol as a nanny with a 3 year old girl two days per week, and just this week, she took an additional part-time nanny job for two days with a two year old and a newborn. Carol is compassionate, patient, adventurous, cheerful, and her medical background makes her extra safety-conscious. She loves teaching sports skills like hitting a ball with a bat or swimming. A favorite memory was a little fellow who loved basketball. Carol lowered the net so he could be successful. Carol is experienced with infants through school age, and is a pro at potty training. She’s happy to help with homework, do family laundry, straighten up the house, menu plan, grocery shop, run errands and is a gourmet cook! Carols own daughters are 10, 15 and 18 years old and her husband travels a lot. “My kids are pretty self-sufficient, and normally I’m home by 4-5 in the afternoon. Her family loves to go camping and travel in their motor-home. This summer she took her paraplegic cousin on a month long motor-home trip, and cared for him 24/7 with her 10 year old. Her close-knit family loves any kind of outside activities, camping at Lake Pleasant, and other favorite places. Thanks for all your great work, Carol, and congratulations on your new position! WHERE HAVE ALL THE AFTER-SCHOOL NANNIES GONE? Nanny agencies around the country have been turning away requests from families for the traditional after-school nanny. What’s happened to the traditional college students? This fall, Caring Nannies had nine After-School Nanny positions available. We were unable to place any of them! Nanny agencies around the country are no longer even accepting these requests. Where have all the traditional after school nannies gone? For the past 31 years we’ve been able to source students from ASU and the surrounding community colleges to fill these crucial positions typically from 2 to 6 pm. The nannies have their traditional classes in the mornings, drive to pick up the school-aged children, take them home for a snack, and then get started on homework. They transport them to appointments, dance, soccer or Karate practice with socks, tennis shoes, tights and mouth guards. These hardworking nannies throw in a load of laundry and prep dinner or at least get a salad ready or feed and bathe the kids. They’re typically paid $15 to $16 per hour and it’s worked out great. But now they’re just extinct. They don’t apply for these jobs. The truth is, they need full-time hours to meet rising costs of school, and they’re doing online classes so they can do it all. Or, according to Daryl Camarillo at Stanford Park Nannies in Menlo Park, they’re seeking positions that will compliment their resume or matche their career paths. Caring Nannies has a few suggestions. 1. 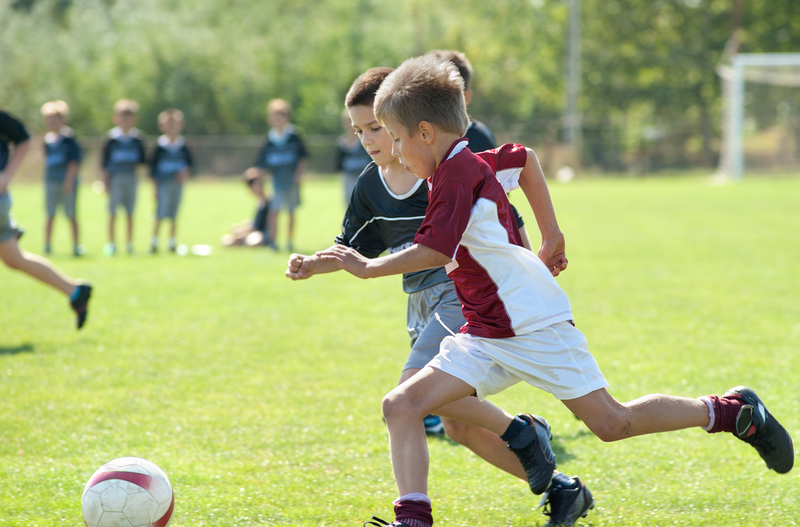 Keep your child in an after-school program and try to utilize Saturday sports and dance options. 2. Give an after-school nanny a higher wage, like $18-$20 per hour.3. Give the nanny longer hours. Give her 30-35 hours per week and expand her duties. She may cook 2-3 family dinners per week. She can grocery shop, do family laundry, iron shirts, make travel plans, research summer camps, or do full housekeeping. Over the course of a week, she can focus on 1-2 areas of the home per day and clean the entire house within a five day stretch. 4. Another suggestion from Daryl is to be satisfied with semester-long placements, as college students change classes, since students change teachers sometimes each semester. You can have the outgoing nanny help hire and train the new one. 5. By the age of 12, many families allow a child to stay home alone. Clinical psychologist Angela Bowers feels that children ages 10 and over have the ability to stay home for a couple of hours occasionally, but that it shouldn’t be overdone, since they can begin to feel lonely and isolated. Determining factors are how responsible they are, who their friends are, and if they know how to handle emergency situations. It’s frustrating, we know. Spring is right around the corner and our recruiting staff is walking the campuses at the Mary Lou Fulton Teachers college in Northwest Phoenix, Grand Canyon University, Paradise Valley Community College, Scottsdale Community College, Mesa Community College and ASU main in Tempe, talking to career services, posting on job boards and still not getting quality experienced applicants. We want to help in any way we can. I hope some of these suggestions help if you’re searching for after-school help after the holidays. Some families keep their nanny for years, while others go through a string of nannys, leaving children confused. It’s a lot of work finding your dream nanny, but the hardest part is after the hire, developing a strong ongoing relationship. Think about your own work environment and how your boss treats you. Realize that she’s a professional in her own right.1. Does she know you appreciate her? Express your appreciation to your nanny out loud frequently, and give her respect and support, especially in front of the children. Don’t allow your children to be disrespectful to her and never speak unkindly to her. Zoe from Unnecessary Wisdom tells the story of her own part time nanny job and a boss who hosted an executive company Christmas party. She invited Zoe to attend and hired a sitter for the event. She raised a toast and asked her husband and Zoe to stand, announcing: “To my husband and Zoe – the two most important people in my life. Without you, I wouldn’t be able to do what I do.” Zoe recounts her undying devotion to this family for years afterwards. 2. Are you really Communicating? Take time to establish regular communication routines with your nanny, daily, weekly, monthly and annually. Take 15 minutes weekly to review her plans and schedule for the following week. Share developmental goals, ideas for the household, your frustrations, and listen to hers as well. Initiate a Nanny Log and ask her to make notes daily and actually read them, occasionally leaving notes of your own or give written praise for a job well done. 3. How do you resolve conflicts? Think before you speak. Focus on creating a win-win solution, not on being right. How can she effectively play with your children, dance with them, sing to them, cuddle with them, put them to sleep if you yell at her or give her the cold shoulder? The fingerprints on the microwave may be bothering you. You know it’s silly and not worth mentioning, because you’re OCD, and you don’t want to rock the boat because she’s home with your baby all day. She already knows something is wrong, but can’t get you to tell her. The baby knows too. It could be something more serious, and I know it’s hard for you to bring it up, but after the first time, it gets easier. The process of resolving conflict will actually bond you both closer together when done quickly, before it festers. Take care of it the same day it occurs, or as soon as possible. 4. Are you micromanaging? If you’ve done your homework and found a nanny you can trust, then trust her. It’s not fun being under a critical eye. A good parent draws forth the qualities they envision for their child. Likewise, your faith in your nanny, knowing she’ll do well, creates confidence and a desire to please you even more. 5. Are you adding more duties and hours? Don’t keep adding more chores or hours without additional compensation. 6. Is she bored? Encourage her to get out and go on playdates, trips to the zoo, the park, the Children’s Museum or the Butterfly Wonderland. Being a nanny is isolating. The interaction and stimulation will benefit your child. 7. Is your pay and benefits package competitive? If you’re able, are you giving her raises when you get a raise at your job?